Note: Please left click on any photo that you would like to view in full resolution. Wednesday, May 11, 2011: After a nice breakfast featuring homemade sweet rolls we pulled up stakes and reluctantly departed Billy and Char’s place. Choosing highway US 65 we headed north toward Duluth, Minnesota. It was cloudy with temperatures in the 60’s once again. What a difference a day makes! The further north we traveled the more the scenery resembled New England…..a nice mix of hardwoods and softwoods with some granite bluffs to spice things up. Nearing the town of Duluth we noticed signs for the Indian Point Municipal Campground so pulled in to see if we could score a spot for the night. Can you pick us out in the sea of campers? Turns out we were the only folks there. We have finally headed far enough north that even hardy Minnesota folks think it’s too early to start the camping season. 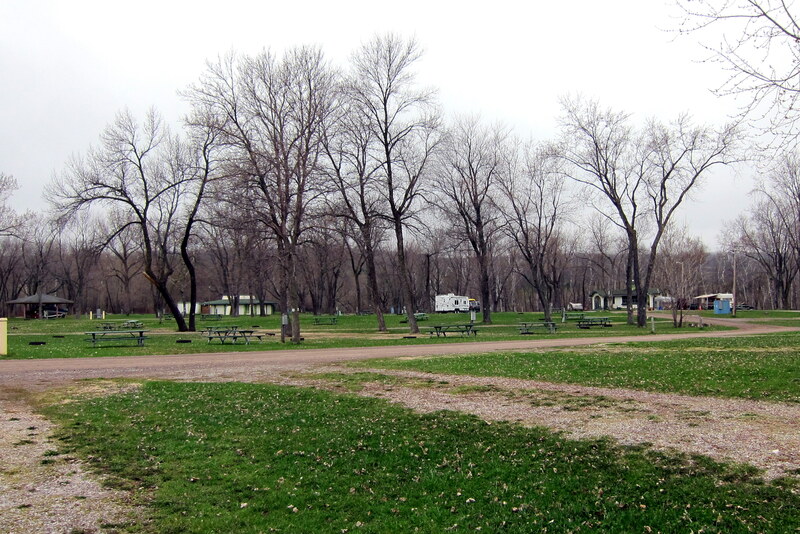 With a similar name of our camp back in Maine, this Indian Point sits on the Saint Louis River that leads to Duluth Harbor and eventually Lake Superior. Since it was early in the day we disconnected the truck and headed into town to poke around. Duluth is 2,300 miles from salt water but is the Atlantic Oceans westernmost deep water port. 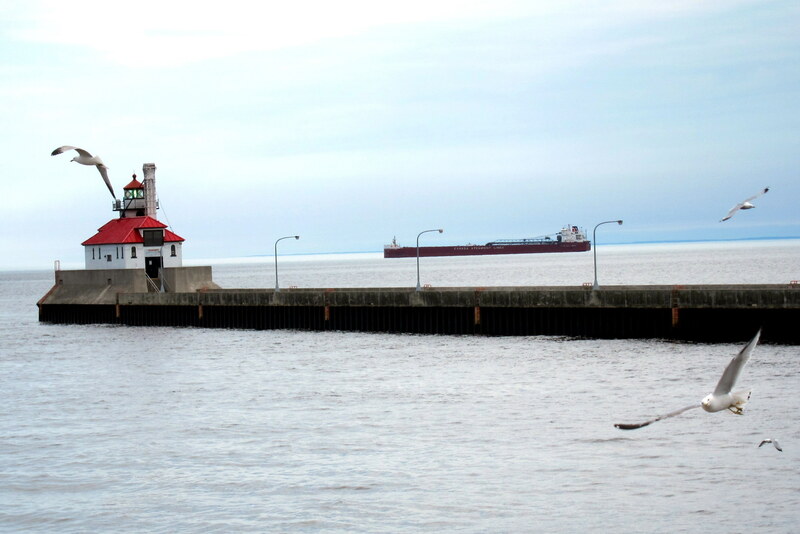 As such, Duluth plays an important role in maritime commerce, moving many goods to and from worldwide ports. We decided to explore Minnesota Point at the end of a 7 mile long sandbar, the longest freshwater sandbar in the world. Nearing the tip I noticed a large float plane coming in for a landing and decided to stick around and see where it would tie up. 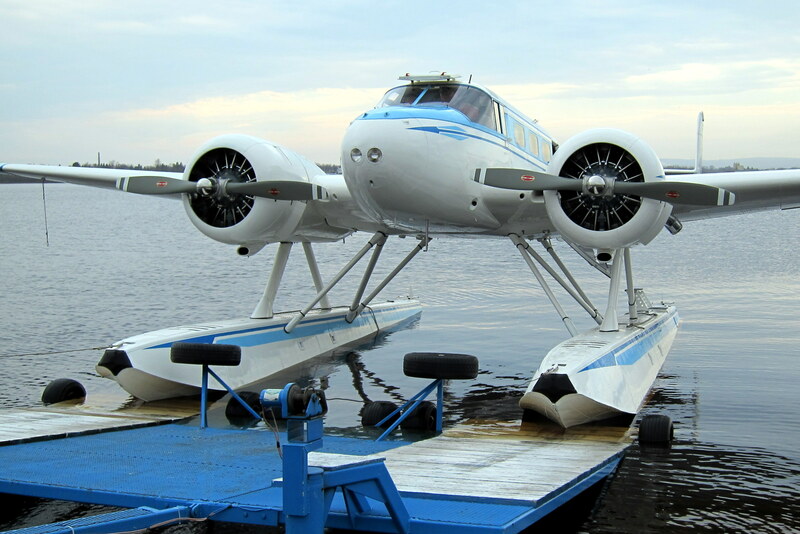 As luck would have it we were near the Sky Harbor Seaplane Base. Standing outside the fence, taking pictures a gentleman invited me to come around and get a better view. Turns out the fellow was the FBO manager and was getting ready to haul this beautifully restored 1954 Beech 18 onto its mooring dolly. 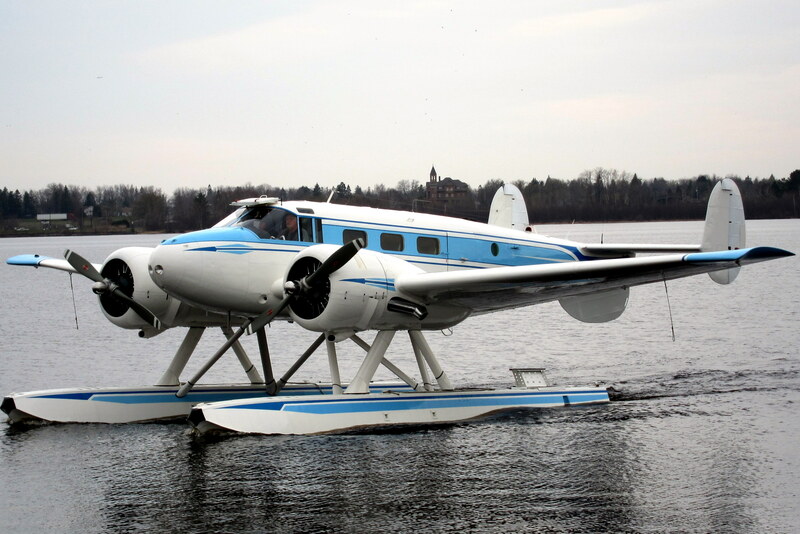 I got to talk to the pilot and learned that the plane belonged to a local businessman and he used it to fly friends and clients into his northern Canadian lodge. In addition he said it was one of four remaining Beech 18 with full floats that remained in operation. The sound of those twin radial engines was amazing! Thursday, May 12, 2011-Duluth, Minnesota: Decided to take a down day and stay in Duluth an additional day. Kit recalled her parent’s honeymooned in the city back in 1947 and she wanted to poke around a bit. We drove into town and stopped at Canal Park, a nice municipal park and commercial area on the Duluth Canal. There we enjoyed exploring the Lake Superior Maritime Museum which contained lots of information about Duluth’s shipping history. 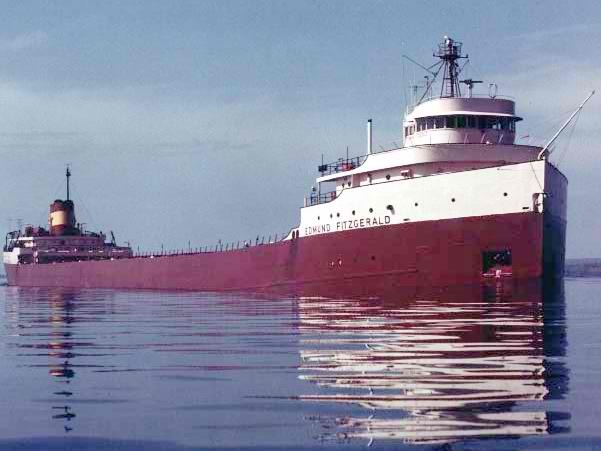 There was an extensive display on the SS Edmund Fitzgerald as this is the port she departed from on that fateful day in 1975. The Fitz is the largest ship of the 62 ships that have foundered on “The Lake”, as it is called locally. The largest freshwater lake in the world, Lake Superior acts more like an ocean with its own winds, climate and moods. Couple that with the rugged shoreline and The Lake remains a peril to any ship that transits her. 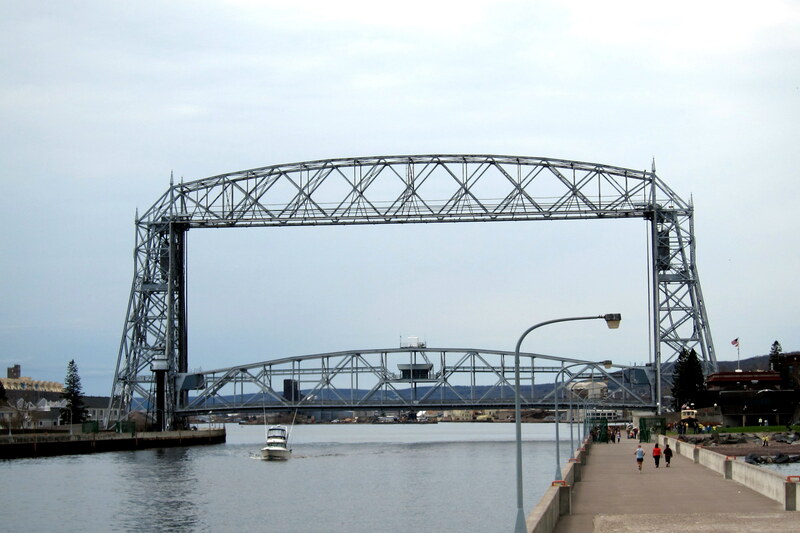 In order for large vessels to navigate the Duluth Canal they must sail under an Aerial Life Bridge, which is similar in design to the old Carlton Bridge that spans the Kennebec River in Bath, Maine. I rejoined Kit for a nice meal and we poked around in the various shops lining the waterfront. 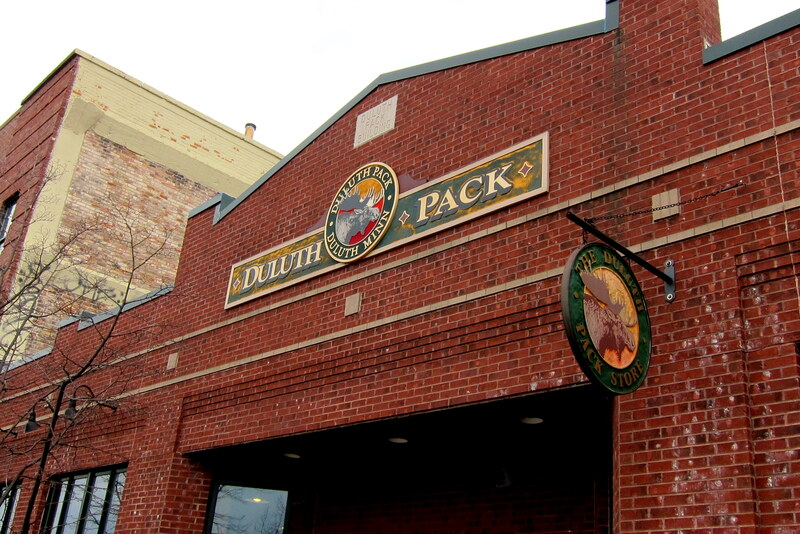 One such local establishment was the flagship store for the Duluth Pack Company. A regional pack maker and outdoor outfitter, Duluth packs are legendary in the nearby Boundary Waters Canoe Area. The store was filled with anything one would need when heading into the wilderness of Northern Minnesota. Back at camp we spent the remainder of the afternoon just oz’ing around. Kit’s Thirteen Cents Worth: We enjoyed our brief tour of Duluth. I had always wanted to go there. It’s a lot bigger than I envisioned. We spent all of our time there near the waterfront. The town has grown up over the big hills. Next time, we will explore more.